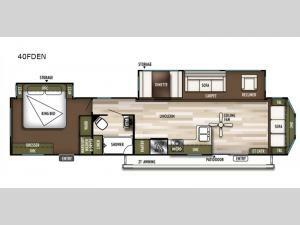 Plan to stay a while in this destination trailer that features double slides and plenty of features you are sure to love. 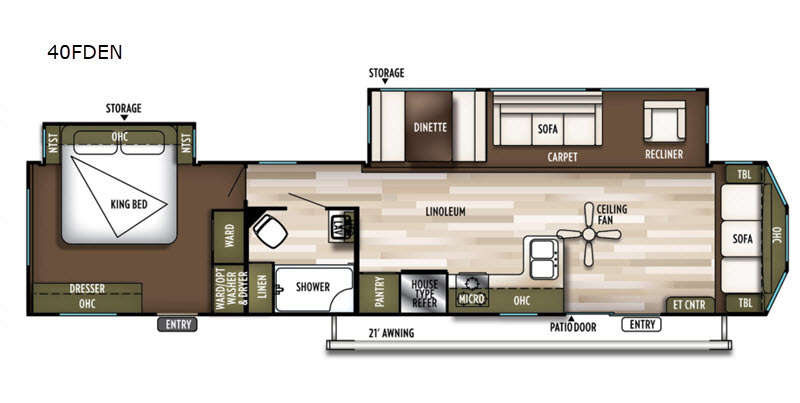 The rear bedroom includes a slide out and a king bed, plus there has been a space prepped for an optional washer and dryer if you choose. After a day at the lake, clean up in the full bath, then head to the front living area to relax. Here, you'll find a sofa, plus a second sofa and a recliner within the slide out. The dinette is perfect to enjoy meals at, or play a game together. This unit includes a patio door, plus a second entry into the rear private bedroom. With a Wildwood DLX destination trailer you can choose to park your unit at a campground longer than your typical camping trip. These models have so much to offer, from the Bluetooth soundbar stereo with a remote, to the upgraded Shaw linoleum. Each kitchen features a 1.6 ct. ft. oversized Whirlpool microwave, stainless steel kitchen appliances, and a large double door residential refrigerator. You'll enjoy a Denver mattress in the bedroom for a comfortable night's rest, plus 2.4 amp dual USP ports for your phone and tablet. 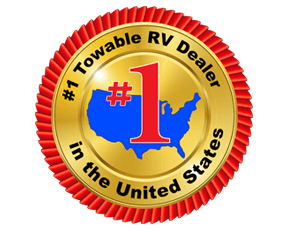 There are many more features you are sure to fall in love with, including an awning with LED lights, a central vacuum system, and two exterior speakers with blue LED lights, plus much more!